Amazon as always let the cat out of the bag, posting All the Anime’s Q4 release slate before Anime Limited had a chance to announce it. They soon remedied that with a Newswire post that detailed what is soon to come, and what will be here later this year. Most notable is that Samurai Flamenco Part 2 has a release date at last, and it’s coming soon, next month even. Today, they posted an update about the Full Metal Alchemist Ultimate Edition release, revealing what the ‘Gate’ packaging will look like. The Gate is the mystical portal that appears to lchemists that commit the sin of human transmutation. And brought to life as Blu-ray packaging it certainly looks epic. Click on the Anime Limited blog post to get a look. 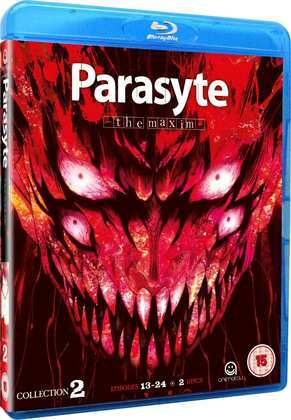 My first review of the week was for Parasyte the Maxim Part 2, the conclusion of the ‘bodysnatcher’ horror anime. I had fun comparing the show to the live action movies, which Animatsu also released, but the show really does stand up well on its own, as it has the space to develop its characters and explore this strange world of parasite invasion. It also has a very effective ending to the story, which in an age where most anime end hoping for a second season, leaving plot lines in the air, is very refreshing. Click on the review to read more. Next it was time to reach into my own anime back-log as I finally got the chance to watch Love Lab. It’s a show set in an elite girls’ school, where such crass things as fraternisation with boys is forbidden. Typically for teens, things which are forbidden become all the more attractive, but it’s theory only for these girls, as they debate, research, and experiment on the intricacies of falling in love. 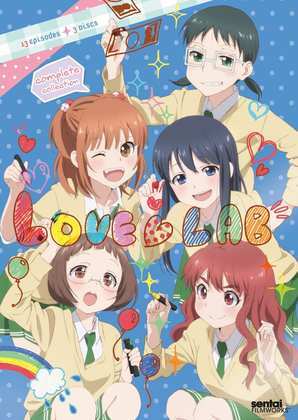 And Love Lab is the funniest anime I have seen in ages. You can read more in the review, but don’t worry; I avoid talking about the really funny bits. I rounded off the week with Naruto Shippuden Box Set 25. We’re really at the quarter century mark with Naruto Shippuden. I’d like to say that it’s still just as energetic and exciting as it has ever been, only at this point we’re at a big chunk of filler. It’s watchable enough when it comes to padding material, but it’s not really what you watch these shows for (unless it’s Bleach when the filler comes as a blessed relief). Things tick along happily enough in this collection, until the final two episodes, where the canon material resumes, and you get a shocking reminder at what the whole point of Naruto actually is. Slayers Evolution-R. I know when I first watched the ‘new’ Slayers series, I unfavourably compared them to the original series, citing an obvious intent to pay homage to those shows, as well as an annoying mascot character. The mascot character’s still there, but for the rewatch, I’m a lot more sympathetic to the show. It’s fun, which is all that you can really ask from Slayers. But best of all, in-between viewings of Evolution-R, I’ve had the chance to watch the Slayers movies and OVAs, and this time around, the disembodied suit of armour, Nama had me busting a gut in a way that I never did the last time I watched the show. It’s so much funnier when you know who ‘Nama’ actually is. 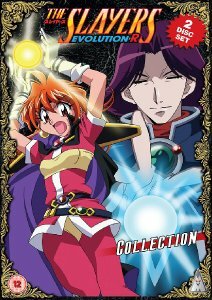 MVM released Slayers Evolution-R on DVD back in 2011, and I reviewed it back then as well, and it is still available from all good e-tailers. Funimation have released the last Slayers series on Blu-ray in the US, although it is locked to Region A.
Animatsu released Parasyte the Maxim Collection 2 on DVD, Blu-ray, and Deluxe Collector’s Edition Blu-ray (with volume 1 of the manga and the soundtrack CD) on August 1st. Sentai Filmworks released Love Lab on DVD and on Blu-ray in the US back in 2014, and you’ll have to import. 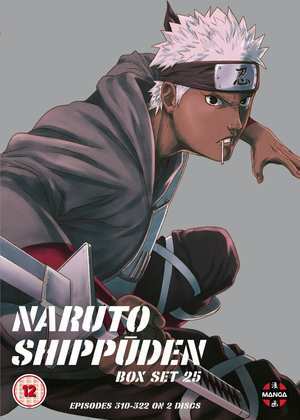 Manga Entertainment will release Naruto Shippuden Box Set 25 on DVD next Monday, 15th August.